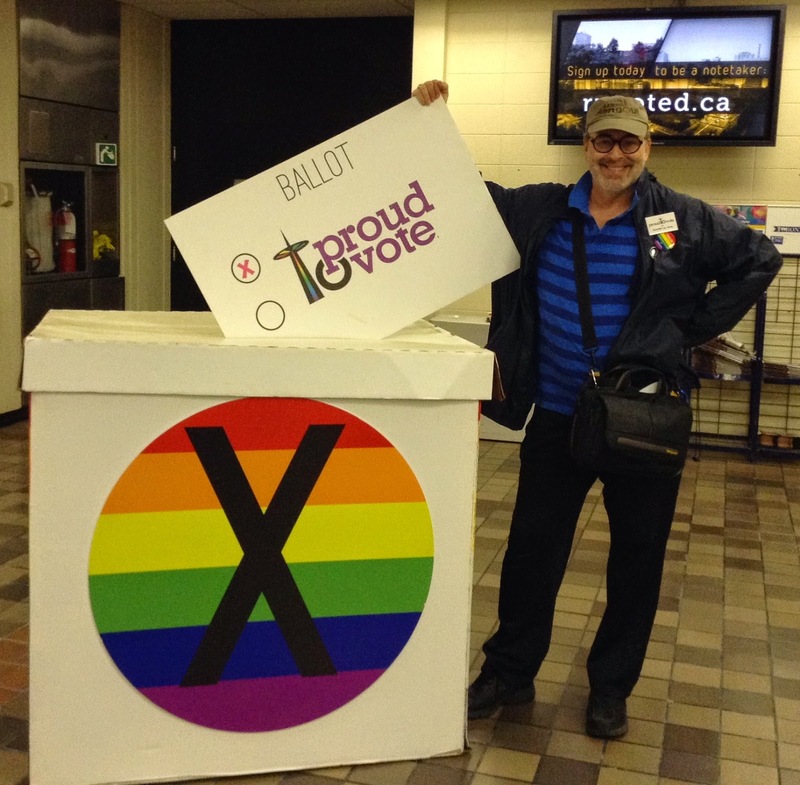 Toronto's Ryerson University Theatre played host to a some candidates Mayoral debate put on by proudTOvote on Friday, September 19th. I say, "some" candidates because there were two: Olivia Chow and John Tory. Just this week we learned that incumbent Toronto Mayor Rob Ford had been diagnosed with liposarcoma, triggering a last-minute candidacy switch, with his brother, City Councillor Doug Ford, running for Mayor in Rob's stead. With his campaign not quite started, Mr Ford declined to attend this debate. I doubt attendees harboured expectations of either Ford turning up. The gay Pride festival should be denied city funding if the activist group Queers Against Israeli Apartheid is allowed to participate, mayoral candidate John Tory said at a debate held by a Jewish group on Friday — reigniting a long-running city hall debate that appeared to have finally dissipated. “I believe the city should have found that an organization like that, with the sort of rhetoric and whatnot that it puts forward, is not consistent with the city’s human rights policy. But that finding was reached in an intensely political climate,” he said. Back to candidates Chow and Tory, and the point of this blog. The Jewish group referenced in the article is The Friends of Simon Wiesenthal Centre for Holocaust Studies, named for the celebrated concentration camp survivor, Nazi hunter, and writer. Tory reiterated his points later at the proudTOvote debate. But, as Chow pointed out, this issue was addressed by City staff in 2011, and barely caused a ripple during the 2014 WorldPride celebrations in Toronto. When Chow raised these points, Tory anted up and said he would have the City's policy changed. Then he offered an example that I find troubling. What, he asked, if a Jewish group were to stage a march in Toronto and permitted a contingent to carry anti-gay signs. This is the conflation that continues to drive the QuAIA controversy because the simple fact is the two nothing to do with each other. If QuAIA marchers were carrying messaging promoting hatred against Jews, then I'm sure City management would have ruled quite differently. As a celebrant of Pride who has marched with both TDSB and ETFO, I would be deeply opposed to a group promoting such a message. That said, there is no requirement that everyone marching in or watching the Pride parade agrees with everyone in the march. What QuAIA doing is criticizing policies of the State of Israel. They're voicing an opinion -- with which we are all free to agree or disagree -- not maligning a group of people. Olivia Chow and John Tory field a question about whether the City of Toronto should fund Pride if the organization permits QuAIA to march. Source: Daily Xtra.